As the weather becomes cooler, I enjoy making comforting soups and stews. 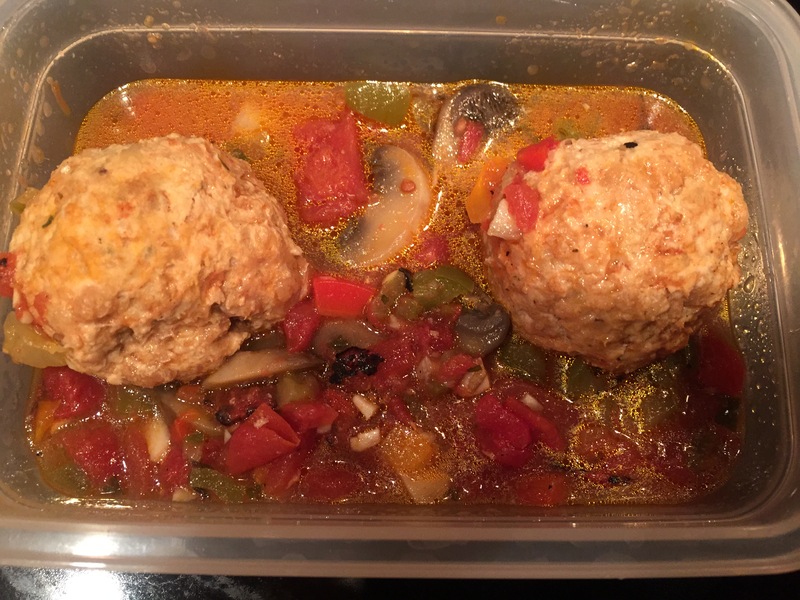 Try this healthy alternative to traditional meatballs! Place bread crumbs in a large mixing bowl with 1/2 cup of nonfat milk to soak for 5 minutes. While they are soaking, spray the bottom of a stock pot with Olive Oil spray. Add onion, garlic, peppers, and mushrooms and heat on medium heat for 3 minutes. Add tomatoes and continue heating for 2 more minutes, being careful not to burn vegetable mixture. Add chicken broth. While the broth is heating, add egg, parmesan, ground turkey, and parsley to the bread crumb mixture. Blend thoroughly with hands and form into medium sized meatballs. Don’t worry if meatballs seem a little soggy. Turkey breast is very lean and will dry out if you add too many bread crumbs. Drop the turkey meatballs into the vegetable broth mixture in stock pot and cook over medium heat until turkey is cooked through (about 10 minutes). Reduce heat to low, cover pot, and simmer. Serve as a soup with a fresh salad as a side dish.